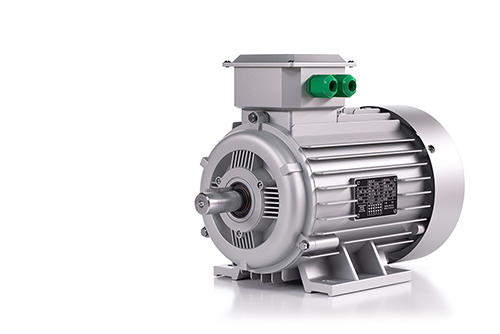 Electric motors are used in elevators, food processing equipment, factory automation, robots, cranes … the list goes on. AC induction motors are common in such applications, and invariably, the insulated gate bipolar transistors (IGBTs) used in the power stages to drive them. The typical bus voltage is 200 VDC to 1,000 VDC. The IGBTs are electronically commutated to achieve the sinusoidal currents that AC induction motors require. Protecting humans who operate heavy machinery from electric shock is of primary importance when designing motor drives, followed by efficiency, size and cost. Although IGBTs can handle the high voltages and currents needed to drive motors, they do not provide safety isolation to protect against shock. The important task of providing safety isolation in the system is entrusted to the gate drivers that drive the IGBTs. Opto isolated gate drivers have been used with great success to drive IGBTs and provide galvanic safety isolation. The input stage of an opto isolated gate driver contains a single aluminum gallium arsenide (AlGaAs) LED. The output stage consists of a photo detector and amplifier, followed by pullup and pulldown transistors to drive the output. A thick layer of transparent silicone in the final package separating the input and output stages provides the safety isolation. Simplicity of the current-driven input stage, good noise immunity and safety isolation are the primary reasons that motor-drive manufacturers have adopted opto isolated gate drivers in virtually all of their designs. However, the ever-increasing demands of modern systems have grown beyond the limits of opto isolation technology. For example, common-mode transient immunity (CMTI) plays a vital role in high-power systems where both bus voltages and currents are large. IGBTs need to switch faster to reduce switching losses and lower the power dissipation. Silicon carbide (SiC) field-effect transistors (FETs) are increasingly popular in such applications because they can switch faster than IGBTs. Regardless of whether you use IGBTs or SiC FETs as the power FET, switching faster means higher transient voltages (dv/dt) and larger common-mode transients, which can couple back to the gate driver inputs, corrupting the power FET’s gate-drive signals. Opto isolated gate drivers have a CMTI rating of only 35 V/ns to 50 V/ns, which limits how fast the power FETs can switch. This results in more power dissipated in the power FETs, lower efficiency, larger size and higher system cost. Opto isolated gate drivers (in a six-pin small-outline package with wide leads) are rated for a working voltage of 1,414 VPK. But opto manufacturers do not provide any guidance on lifetime. Besides, a maximum allowed operating temperature of only 105°C (Tj = 125°C) and LED aging effects further limit the applications in which opto isolated gate drivers can be used, thus making drive manufacturers look for alternative solutions. The UCC23513 is a 3-A, 5-kVRMS opto-compatible single-channel isolated gate driver with capacitive isolation technology in a six-pin package. TI’s proprietary emulated diode (e-diode) technology forms the current-driven input stage that, unlike LEDs, does not age. High-voltage safety isolation is possible through the use of capacitors with high-purity silicon dioxide (SiO2) dielectric that forms as part of the semiconductor process, the same process used to fabricate metal-oxide semiconductor FETs. Since semiconductor processes have very tight tolerances, the purity and thickness of the SiO2 dielectric is extremely well controlled. The device lifetime is guaranteed for >50 years at a working voltage of 1,060 VRMS (1,500 VPK), with extremely low device-to-device variation that is not achievable with opto isolation. With a CMTI rating of >150 V/ns, the UCC23513 can tolerate very high dv/dt and is a good fit for applications that need to switch the IGBTs very fast to reduce power loss and achieve high system efficiency. With a maximum operating temperature of 125°C (Tj = 150°C), the UCC23513 can be used in systems with high ambient temperatures. Other benefits include lower propagation delay, lower pulse-width distortion and lower device-to-device skew, enabling drive manufacturers to increase pulse-width modulation frequencies and lower distortion while improving system efficiency. The UCC23513, with its longer lifetime, higher CMTI and extended temperature range, is a drop-in upgrade for traditional opto isolated gate drivers. Download the UCC23513 3-A, 5-kVRMS Opto-Compatible Single Channel Isolated Gate Driver datasheet. Jump-start your design with the Three-phase inverter reference design for 200-480 VAC drives with opto-emulated input gate drivers.